THE VIKRAM SARABHAI BLOCK : This block houses the administrative offices of the Directors, the Departments of Computer Science and Engineering, Information Technology and Electronics, Communication and Training and Placement Cell. The block also has the glorious Amphi Theatre that has held the most memorable events for the last 15 years. THE DHANVANTRI BLOCK : The Dhanvantri Block includes the Administrative offices of the Chairman and Director, the Department of Pharmacy and other administrative offices. The Block houses the central library that is The Gyandan Resource Center. THE VISHVAKARMA BLOCK : The Vishvakarma Block houses the Department of Mechanical Engineering and the Department of Management Studies. 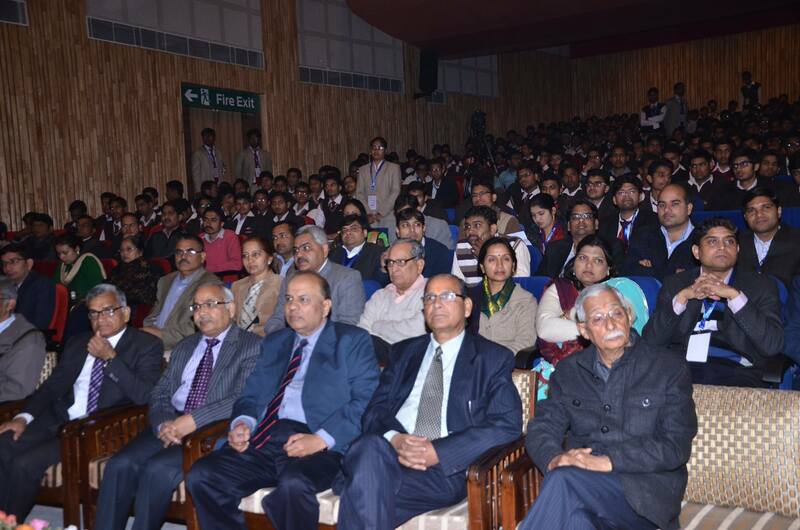 The block also has a seminar hall having a seating capacity of 250 persons and many small halls for student activities. Each block encompasses a disciplined academic environment and provides ample opportunities to organize significant extra-curricular activities. SIR M. VISVESVARAYA BLOCK : This block is the working space for the Department of Electrical Engineering, Civil Engineering and the Sciences and Humanities Department. Built on an approximate area of two lac sq. feet, the block holds the biggest auditorium called the Gyanmandir Auditorium of a seating capacity of 850 people and a mini auditorium named as J.C Bose Auditorium having a seating capacity of 250 persons. It also has a mini open air theatre called the C.V Raman Theatre. These four blocks encompass administration offices to the modern classrooms to provide amity of learning to intellectuals. 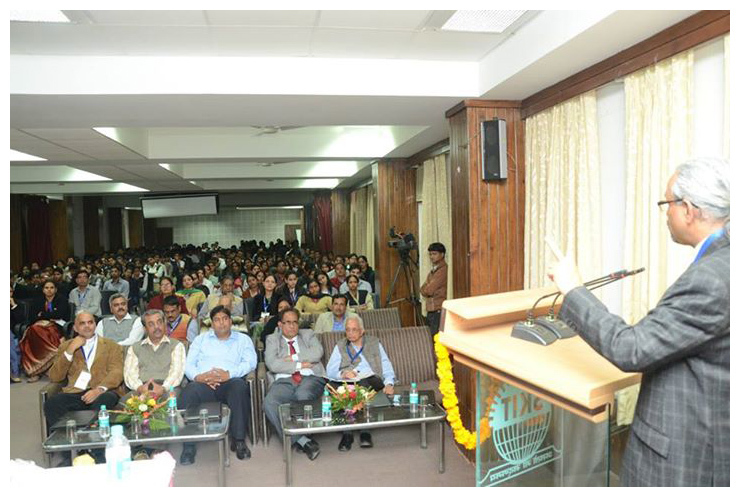 In accordance with the need of engineering courses, labs, classrooms and departments are established. The institution is developed with intellectually vibrant ambience in a serene and lush green environment. 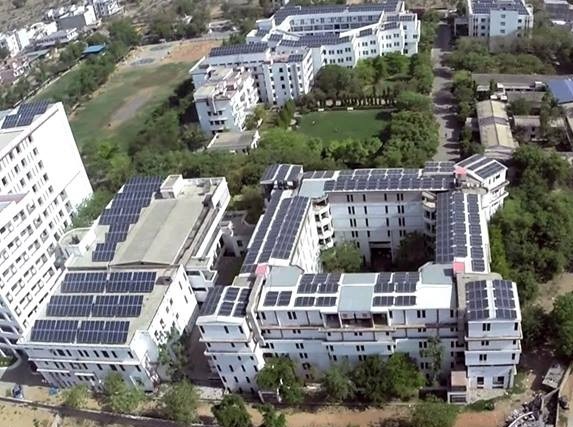 Comprising smart buildings with well equipped lecture theatres, tutorial rooms, laboratories, Wi-Fi connectivity, hostels, canteen, mess, sports grounds, Learning Resource Center, all in an eco-friendly environment. 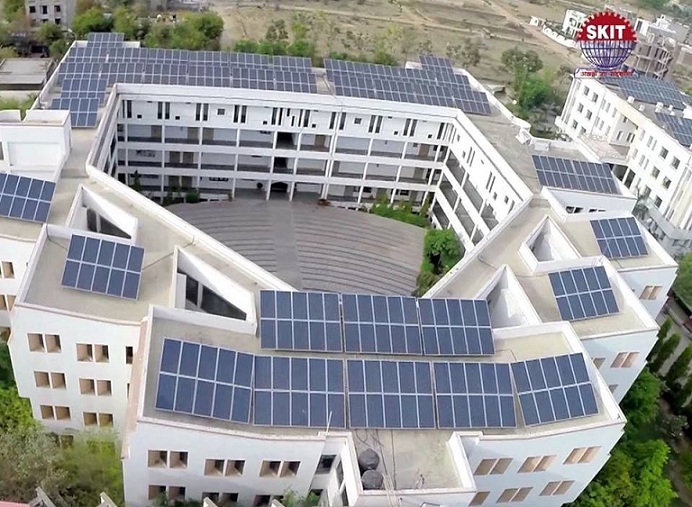 SKIT is the first total green campus in Rajasthan with 900 kW Solar Power Plant (400 kW Rooftop + 500 kW Captive). 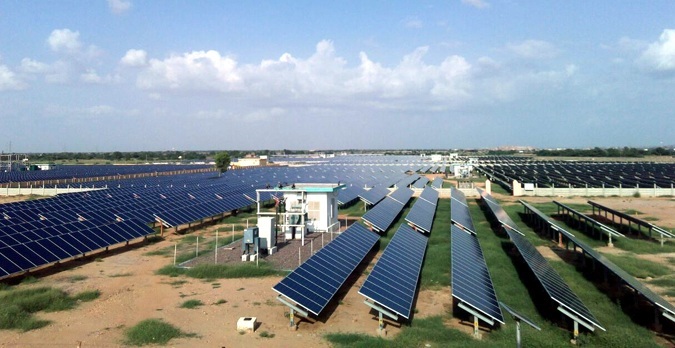 The solar power generation will annually generate nearly 14 lakh units of electricity cutting 1150 tons of CO emissions that shall contribute towards saving nearly 34000 trees annually. 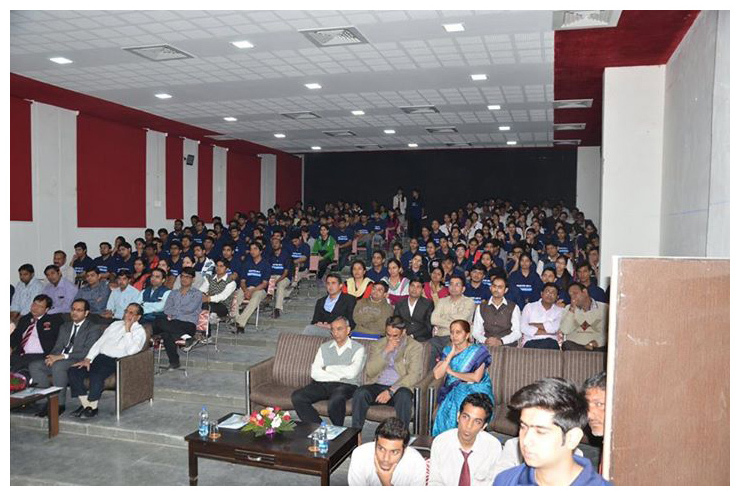 SKIT has well equipped modern auditoriums and seminar halls as an auditorium called Gyanmandir with seating capacity of 850 people, a mini auditorium named as J.C Bose with seating capacity of 250, mini open air theatre called C.V Raman theatre and Amphi theatre to conduct various workshops, conferences and other activities. 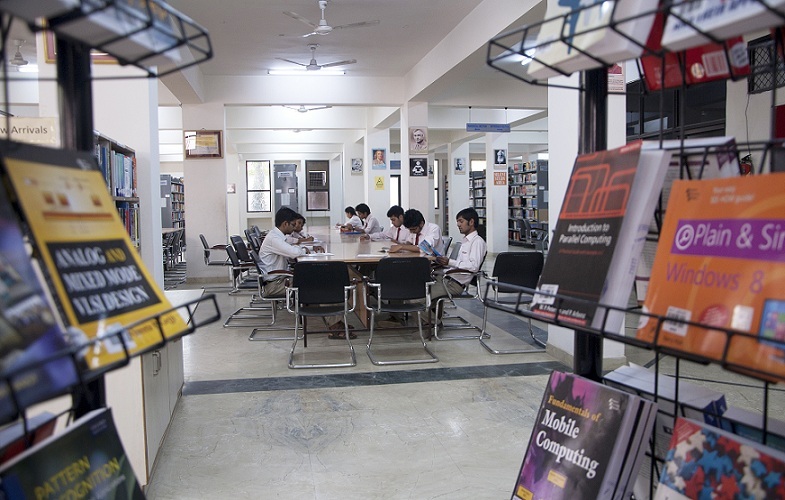 Gyandan Resource Centre is the institute's Central Library that houses the most extensive and valuable collection of books. 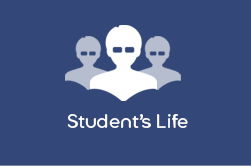 It provides an easy access to significant newspapers, journals, magazines, periodicals and other documented materials to the students and faculty members. The library subscribes to 531 International and National journals of repute. The library in its present structure has grown up to 38406 books, 10107 titles and 50 magazines. 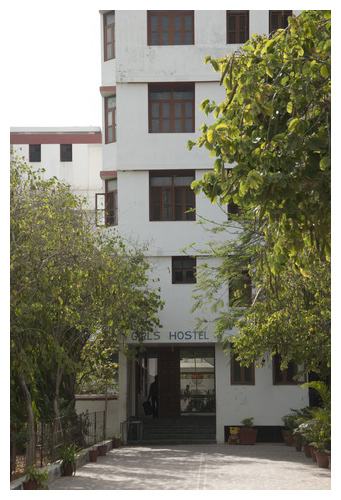 The campus has separate hostel facilities for boys and girls with two edifices, having strength of 460 and 265 students, respectively. 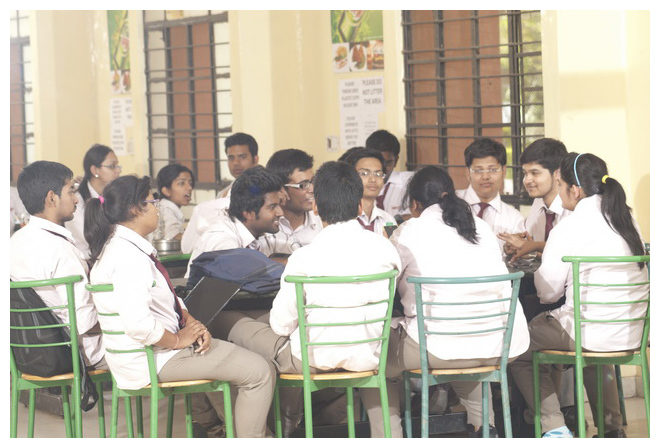 Students get healthy and nutritious meals in the Hostel Mess. Recreational Sources include a Common Room for activities, Television, Gymnasium and Indoor Sport's room. The institute recognizes the importance of sportsmanship and team spirit for students. This culminates in the adequate infrastructure for sports and games like Cricket Ground with turf pitch, Football Ground, Volleyball Courts, Basketball Court, Badminton Court, Lawn Tennis Court, Table-tennis, Jogging path, Chess and several other outdoor and indoor games. 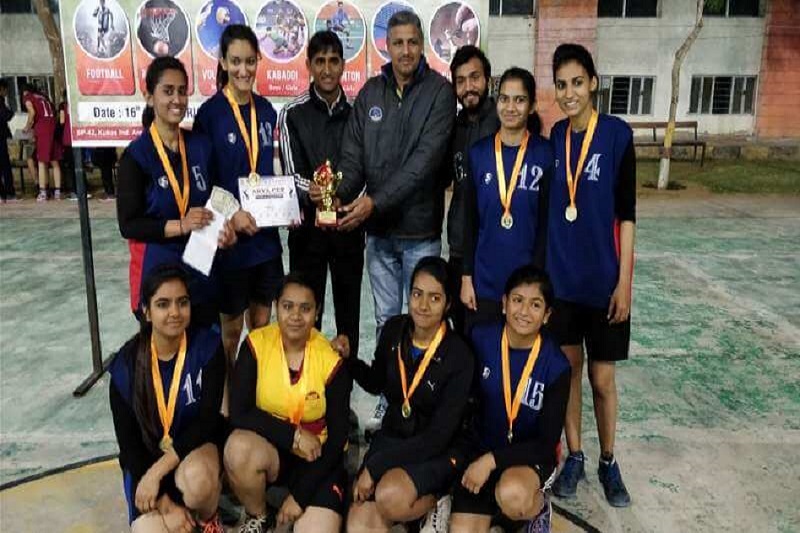 Institute has its own Basketball and Volleyball teams that have participated in sports events at the National and State level and have won laurels. The institute has also appointed a special trainer for helping students face various intra and inter sports competitions. 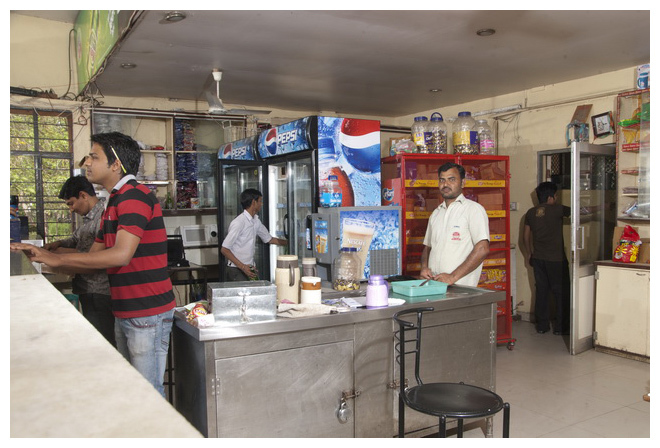 Other than the mess facilities, a canteen is also run for the students. 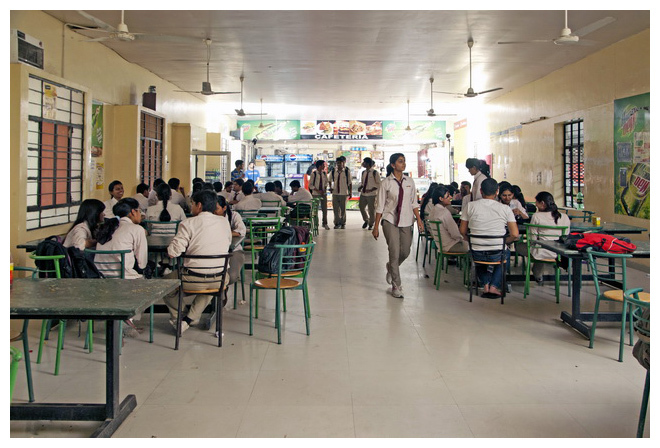 The entire canteen has a pleasant ambience making it a good hang out place for students. Being away from home does not mean that you cannot have food that tastes as good as the stuff dished out from mom's kitchen. 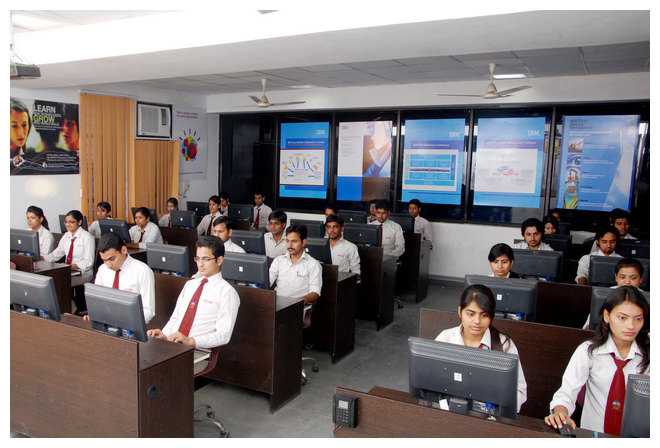 SKIT has developed a central computing facility, having more than 1200+ computers including different labs for conduction of various online exams, trainings and recruitment process with Internet and Intranet connectivity over wired and Wi-fi medium. 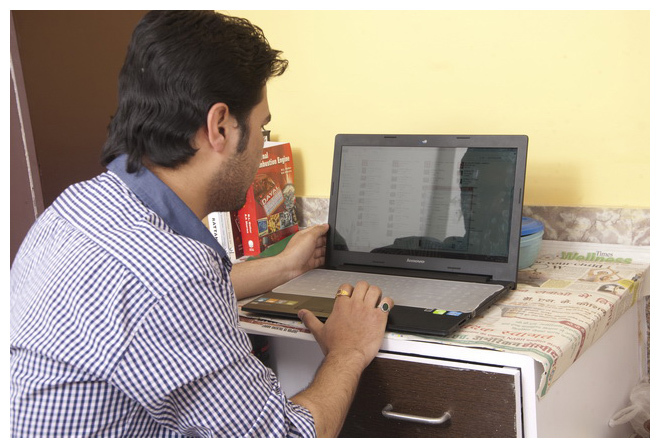 High Speed Internet facility with a Leased Line connectivity of 162mbps. 24x7 ATM machines of PNB, SBI, Indusind and Vijaya Bank are available. A fleet of 16 buses provides pick-up and drop facility to students from various points covering almost all areas in the Jaipur city. This service is offered to ensure a hassle-free and safe transportation. In case of Medical Emergency, prompt medical attention is provided to all the students along with ambulance facility. Doctors visit the campus on regular basis. 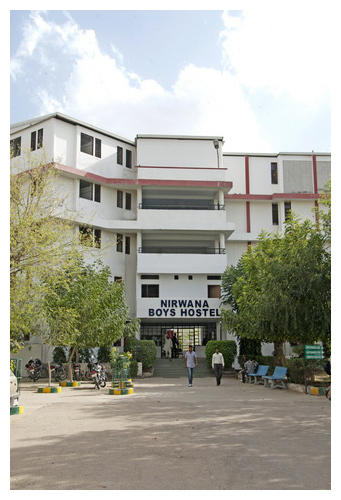 Laundry Facility equipped with heavy load washing machines is also provided to students at nominal charges in the campus. 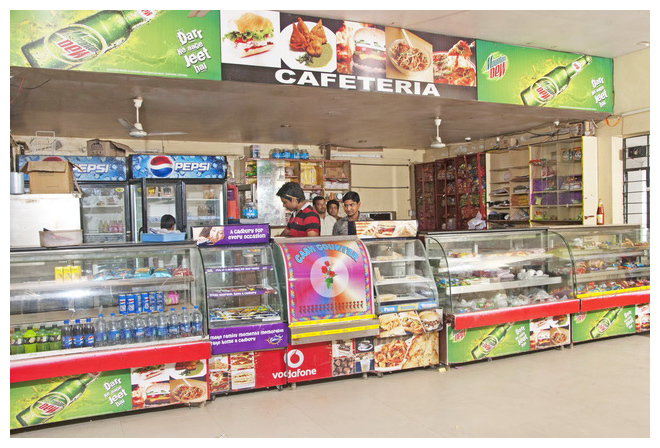 There is a utility shop in the campus which caters to the basic needs of the students. 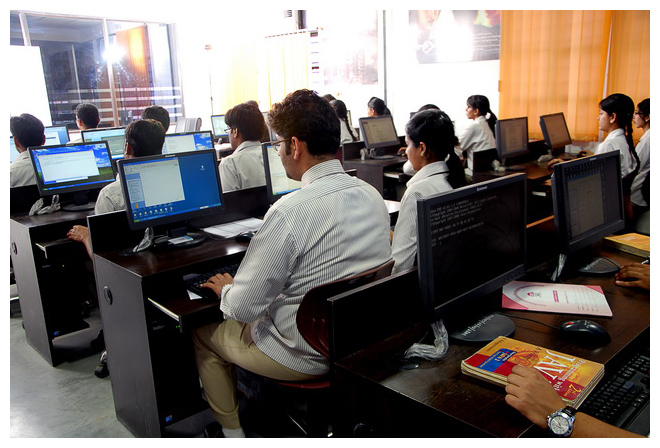 It is also well equipped with the facility of Photocopy and Lamination.